…a four day festival celebrating the goodness of God in the midst of His creation. This is an opportunity to slow down, intentionally attune ourselves to God, and capture a deeper sense of what true Christian Communion as the Body of Christ looks and feels like—deep conversations, joy and laughter, delicious food, recreation, leisure, and intentional time for prayer and reflection. 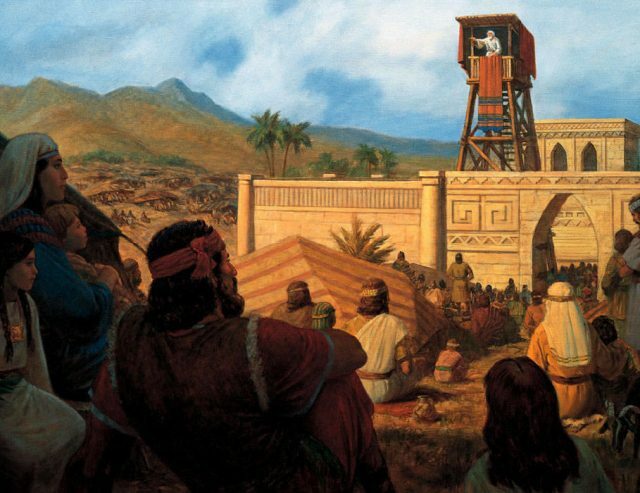 Festivals have long played an essential role in shaping the people of God. In ancient Israel, God commanded the people to travel long distances to join together for festivals THREE times a year. This entailed a lot of effort, but also produced a lot of joy and cultivated a thick sense of belonging and identity. The festival included a lot of time for fellowship, conversation, and leisure while simultaneously recalibrating the entire community to live in reference to God. 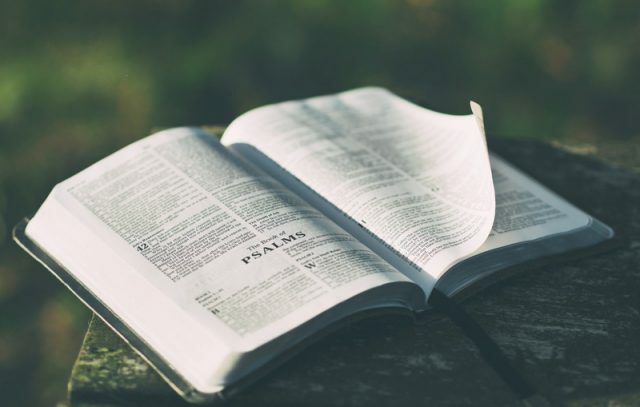 Though our festival is not mandated by God, it is inspired by the model of ancient Israel and the power of pilgrimage (many Christian examples exist) in order to shape us more deeply into Christ. – leaning into times of solitude and silence. – spiritually formational rhythms of learning, practice, and reflection. – embracing the opportunity to disconnect from our technology-soaked lives, and take part in a kind of digital technology fast for the four days (emergencies excepted). 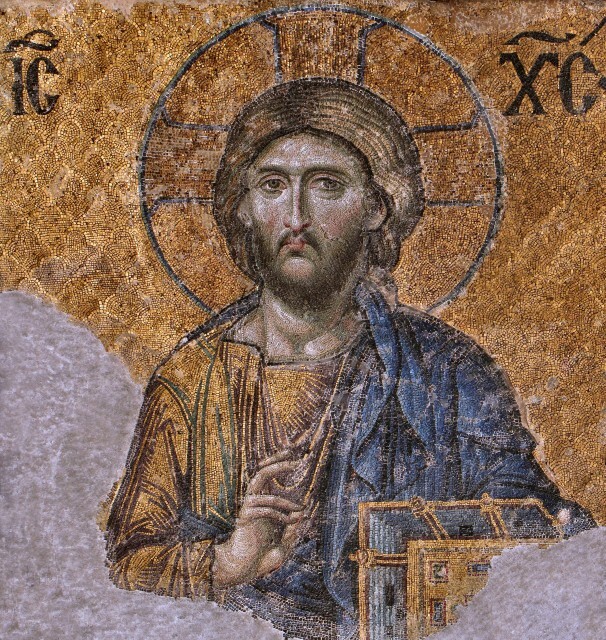 Ultimately, our hope and prayer is that we will be shaped and formed more deeply into Christ and as people who truly love each other by engaging this experience together. NOTE: You MUST commit to arrive by no later than Thursday morning and stay through Sunday noon in order to participate in this event. Because of the communal commitments to these spiritually formative daily rhythms, it would take away from the experience to have people coming and going at various times. We understand that this means that many of you will have to take time off work. However, we believe that it will be worth it! 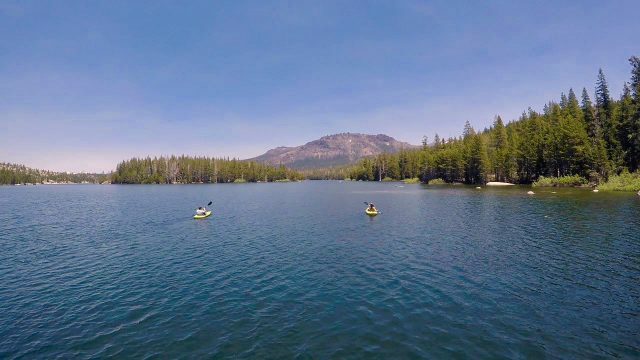 Location: Plasse’s Resort, Pioneer, CA — on beautiful Silver Lake, in the Eldorado National Forest, 7,200′ elevation; approx 3.5 hour drive from San Francisco. 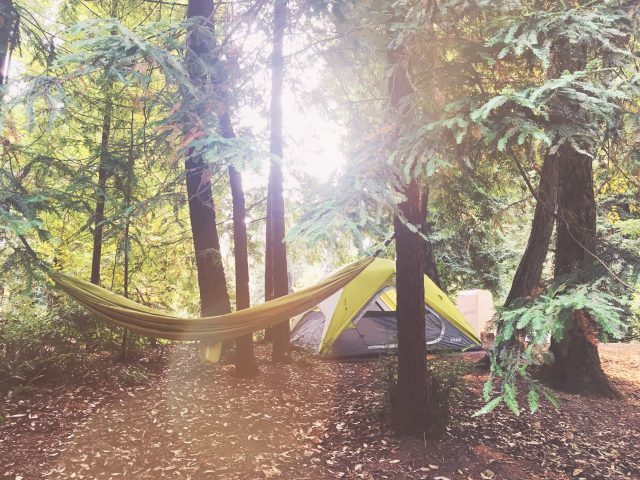 Accommodations: We have reserved multiple tent sites (enough for 35 people total) in a campground next to a beautiful lake perfect for hiking, canoeing, or just resting leisurely beside. There are flush-toilets, coin-operated showers, potable water, and laundry facilities nearby. You can drive your car to the campsite (no hiking necessary). There is electricity in the campground, but not at our campsites (plan to leave the iPad and laptop at home.) The temperature will be warm in the daytime and crisp/cool at night. The resort has an onsite restaurant, general store, and equipment rental (water sports). * We don’t want anyone to miss out on this opportunity for lack of funds. Please talk to Fr. Ryan about scholarship assistance if that would help. ** Cost does not include camping gear or drinks (other than water and juice). You’ll need to rent, borrow, or buy a sleeping bag, sleeping mat, tent, etc. Registration closes for everyone July 17th. What does a day in the life of Eucharist Village look like? It includes kids and adults. It’s spiritually and relationally engaging. It fosters joy and connection, but honors the needs for individual space. 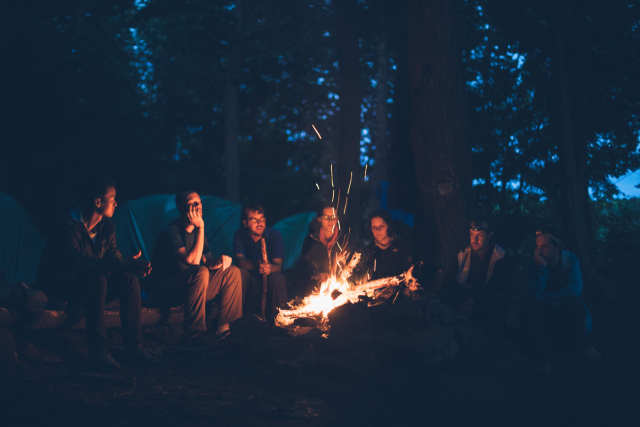 Roughly speaking, it looks like mornings engaging in Spiritual Formation and afternoons and evenings focused on fellowship, leisure, and whatever adventure you have in mind. Our vision at Eucharist Church is to be a community of disciples who live all of life in reference to Christ. This is a communal vision – meaning it takes a village inspired / indwelt by the Holy Spirit to enact it. But in many ways our imagination about Christian life together has been malnourished by the constant intensity that characterizes the busy, noisy, tech-saturated, self-focused, fast-moving culture of the Bay Area. The lives we lead often leave us hungering for something deeper and simpler, for life in a village of sorts… a place removed from the busyness of modern society, characterized by the joy of knowing and being known. But where do we start? That’s what Eucharist Village is all about. We hope to inspire our imagination for life here in the City by starting with something simpler… an experience where you enter into a rhythm of shared life together—eating, praying, worshiping, learning, recreation, leisure, campfires, storytelling, games, etc.—all in reference to Christ! The vision is for us to repeat this experience, deepen it, and include more and more people in it over the coming years. We hope that it will be used by God to cultivate us into a distinctive people who can act as ambassadors of the Kingdom of God in the midst of San Francisco, and beyond. To be an ambassador, you must be steeped in the culture you want to represent and extend. 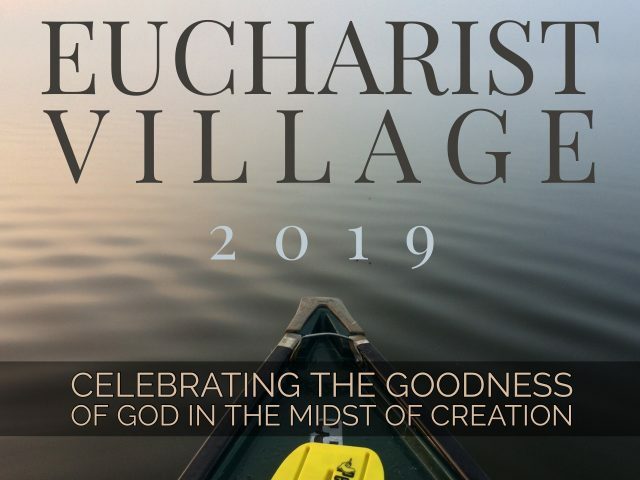 Eucharist Village is an opportunity to soak in the culture of God’s Kingdom.